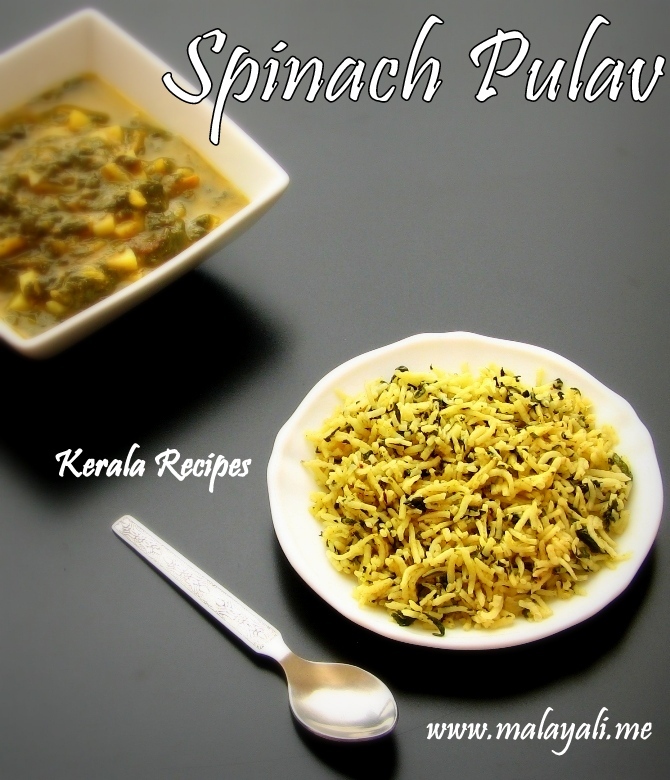 Spinach Pulav is another easy Pulav (Pilaf) you can make for lunch or dinner. 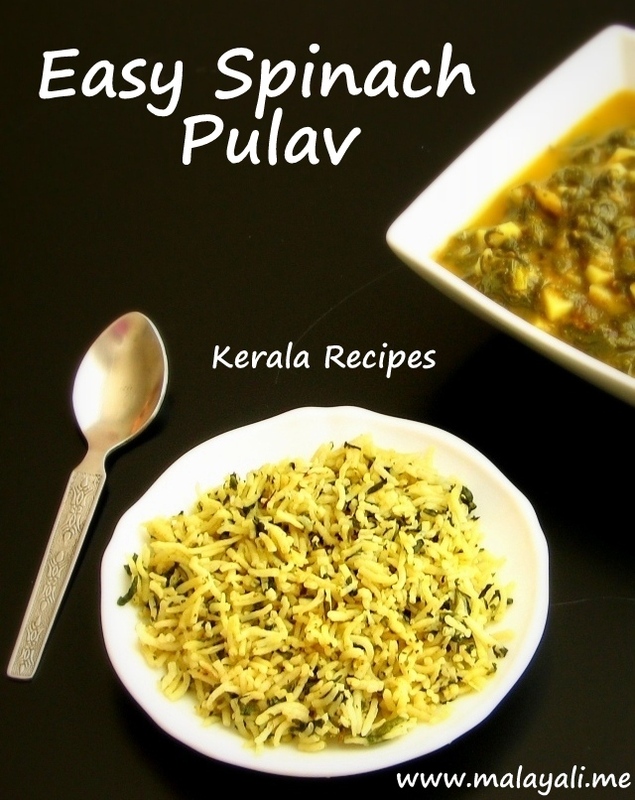 I make this tasty and healthy Pulav when I buy Fresh Spinach. 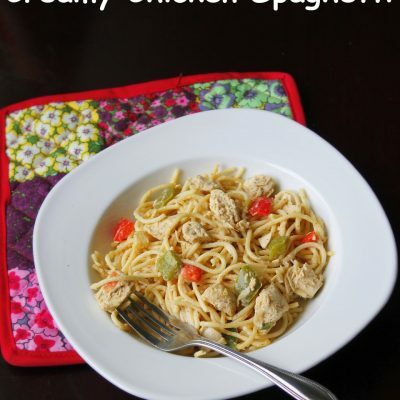 I have used Baby Spinach for making this recipe. I made this Pulav during Lent and we liked it a lot. 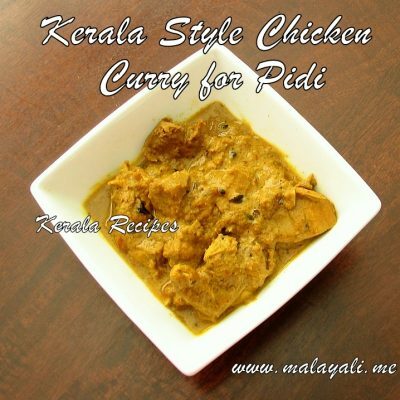 I added a pinch of turmeric powder and that gave the Pulav a yellow color. However, if you want a green colored Pulav, skip the turmeric powder. We had this Spinach Pulav with Spinach and Potato Curry. 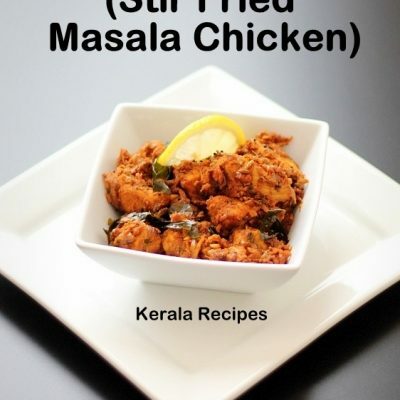 You can also serve it with any spicy meat based curries. Some varieties of spinach may impart a slightly bitter taste. I had no problems since I used Baby Spinach. Soak the Basmathi Rice for 15-20 minutes. Wash the rice thoroughly. Drain and keep it aside. 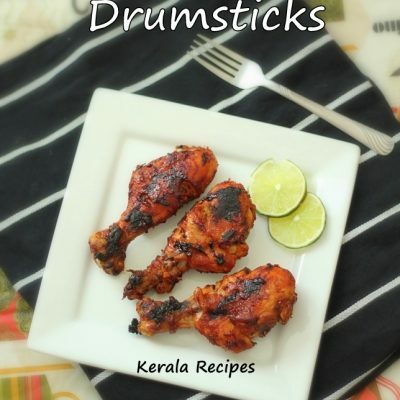 Heat 1 tbsp oil or ghee in a big non stick pan and throw in the cloves, bay leaf and cinnamon stick. Add the diced onions and green chillies. Saute onions until translucent. Add the chopped spinach and cilantro to the pan along with 1/4 tsp turmeric powder. Saute for 5 minutes so that the spinach wilts and lets out water. Continue sauteing so that the water evaporates. Add another tbsp of oil/ghee to the pan. Transfer the drained rice to the pan and lightly stir fry for 3 to 4 minutes or until the rice begins to change color. Add 3 cups of water to the pan along with 2 tsp sugar and salt to taste. Bring everything to a rolling boil. 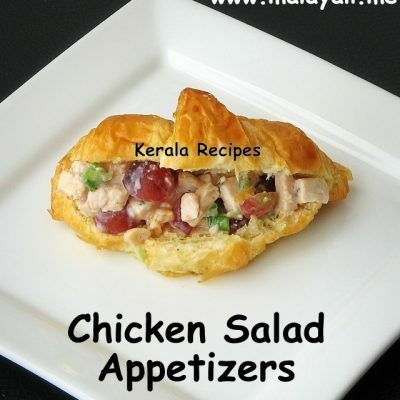 It is better to use fresh Spinach in this recipe. Frozen Spinach may not taste as good as the fresh ones. Ghee is an essential ingredient for any Pulav. It will make the Basmathi Rice taste royal. For a variation, you can add 1/4 tsp fennel seeds along with the other whole spices.